PLFixtures sells name brand faucets, sinks indoor lighting and outdoor lighting through our website. At plfixtures.com our goal can be summed up by our saying that: "We strive to give brick & mortar service through our internet site." We are not a huge corporate enterprise like so many ecommerce establishments have turned into. I guess the best way to describe us, is the” mom & pop” business on Main Street. Believe it or not, when you contact us for help you will generally get the same person every time, which helps eliminate confusion if further contact is needed. The owners of plfixtures.com have been in the internet sales business since 1995, and so from experience, we know what people expect from their online companies! We take pride in offering the same fast and dependable service that we expect when we purchase anything over the internet ourselves, or in a brick and mortar establishment. We also have over 20 years experience in the plumbing and lighting industry. Our life experience also includes contracting and general contracting in the new housing industry. We are a locally owned Kitchen and Bathroom remodeling company. Manufacturer of Semi-Custom Cabinetry Sold exclusively at Lowe's. 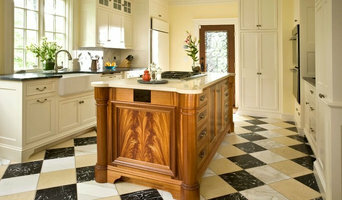 Residential millwork & cabinetry designers, fabricators, and installers. The purpose of our design center is to display the many different types of products that are being used in the homes of today. We all know the importance of being able to see the products before we purchase them. When you visit our showroom, you will see such products as: engineered lumber, doors, windows, sidings, moldings, flooring, kitchens and many other products as well. Please use this showroom to your advantage. If you are building a house you will be able to see your options better so you'll make better decisions. If you are a contractor building a house for a customer feel free to come in with a customer to look around or tell the customer 'Go down to Lapointe's and they will help you choose what you want to have in your house.' Use our showroom to your advantage to come in and compare different manufacturers products. Ask us how they are different and why a certain one might work better on your project. We will be happy to answer all of you questions! DECORUM Hardware & Lighting has been offering specialty hardware and handcrafted lighting since 1979. Our lights are crafted in our workshop and displayed within the DECORUM showroom. Displayed fixtures are examples that can be modified to your color, size, length, or configuration requirements. Like our lights, our focus on hardware revolves around quality and choices. 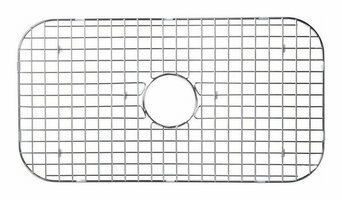 We've aligned ourselves with a variety of the most reputable hardware manufacturers in the country. We offer all of the finishing touches from an incredible selection of cabinet knobs and pulls, and solid brass or bronze door knobs to bath accessories, sinks, faucets and claw foot tubs. Specialty and reproduction hardware too. Buy Affordable Towel Heater, heated towel bars, electric towel bars, hydronic towel warmers, plug in towel warmers, heated towel rails for homes, bathrooms &amp; luxurious bathroom. Use the Houzz Professionals listings to find Yarmouth, ME kitchen and bath accessory vendors. Don’t rule out asking a kitchen manufacturer’s design team for help, too. Skills often can be overlapped to save you time and money! Here are some related professionals and vendors to complement the work of kitchen & bath fixtures: Kitchen & Bath Designers, Kitchen & Bath Remodelers, Interior Designers & Decorators, Cabinets & Cabinetry. Find kitchen and bath fixtures and accessories, plus installation experts, on Houzz. 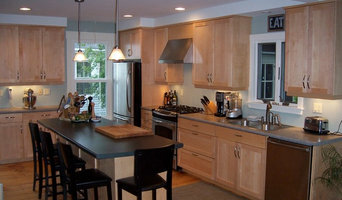 Check out Maine kitchen products and installers, and bath plumbing products and installers, on Houzz. 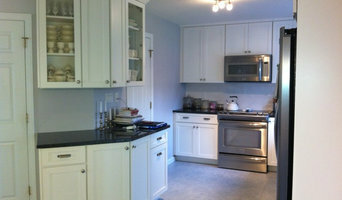 You can also look through project photos provided by Yarmouth, ME renovators, retailers and designers.